This month we talked with Weng-Yeong Mok, a dedicated real estate professional with extensive experience working across the APAC region and current CoreNet Global Singapore Chapter Chair. Based in Singapore, Mok’s most recent role has been working with Visa where he was previously employed as Director, Global Corporate Real Estate and part of the Asia-Pacific team working on a number of priority real estate projects for the business in both Singapore and the Philippines. Prior to joining Visa, Mok had a long and varied career working in a number of senior management real estate positions at multi-national technology companies including working as Director, Workplace Solutions at Polycom Asia-Pacific, where he was involved in mergers and acquisition activity, asset re-structures and construction project and facility management roles across the Asia-Pacific region. Mok has a Master of Business Administration degree from University of Newcastle, Australia and holds a Master of Corporate Real Estate from CoreNet Global. Q1) Throughout APAC what would you consider to be your most challenging market/s and why? The diversity of cultures and business norms encountered working across the APAC region creates challenges no matter where real estate projects are delivered. The importance of cultural awareness and sensitivities are not just part of management theory, they are necessary skills and pre-requisites for success when working in this part of the world. Working for a business that has a strong corporate culture is something that always proves a benefit when working to implement business change or drive specific real estate projects through the business. Patience and allowing yourself sufficient time to engage properly with local in-country stakeholders and being seen to be considerate, respectful and responsive of any concerns or issues raised along the way is key to building trust and getting buy-in from the team. Q2) What factors make delivering real estate solutions in your industry sector unique? For most of my career I have worked for technology companies. In this industry being nimble, innovative and creative are critical to success in market. Real estate has an important role to play in creating a physical environment that supports these enablers of business success. Access to talent, staff convenience and amenity are central to location strategy. In the physical space, technology infrastructure forms the core of space planning and serves as an essential enabler and link between staff mobility (necessary to create opportunities for collaboration and interactions between staff and business lines as a function of daily work life) and productivity. Increasingly I am seeing companies focused on real estate solutions that support staff’s professional and personal development and create a point of difference against the competition. 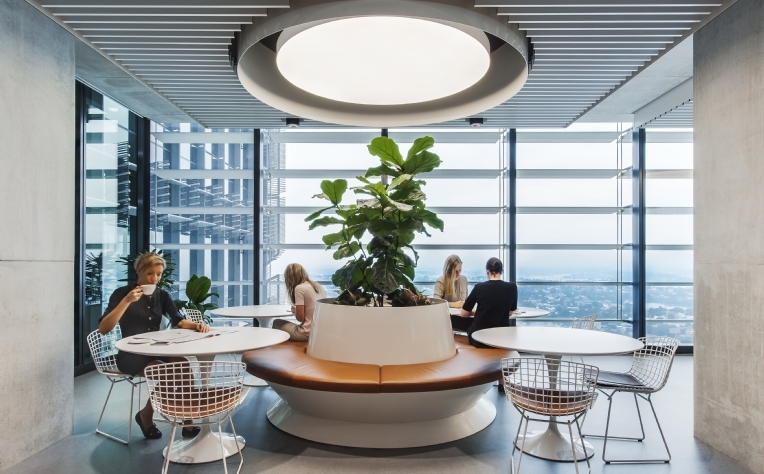 Collaboration, training and learning spaces are increasingly being seen as central and active parts of workspace planning and important fitout design elements in their own right. Q3) How would you rate your industry sector in terms of being a driver of workplace innovation and efficiency and are there any developing workplace trends that point the way forward? 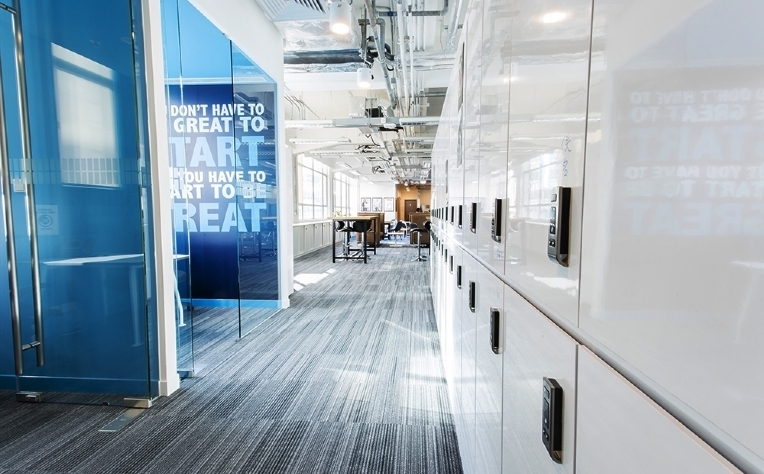 Technology companies have been at the forefront of workspace change, leading trends in open plan and agile working. A trend which I anticipate will continue to gather speed and which will have a transformative impact on the way corporates look at their real estate portfolios is productivity measurement and dividends being applied to a company’s property and physical corporate real estate assets used by staff. 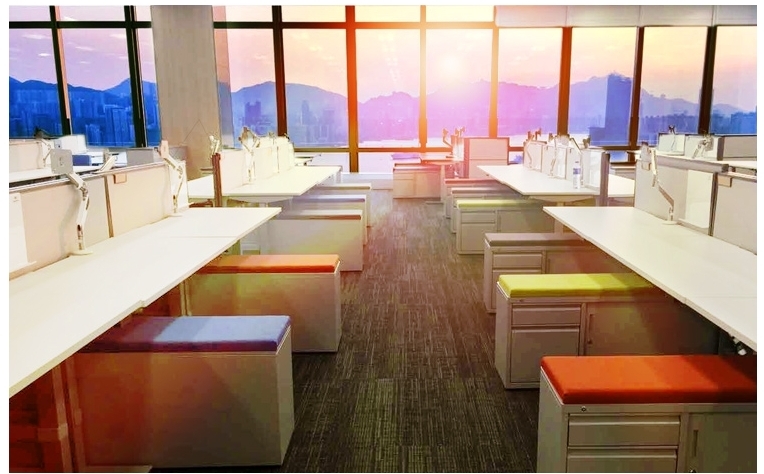 As our workforce becomes ever more mobile, the view that an organization has towards the function and utility of workspace will necessarily change. The corporate office will become just one of many places where staff conduct work and contribute productively to company goals. This will drive a significant change in workspace design and corporate space planning that we have only just begun to see. Q4) What do you look for in our real estate partners? In my career I have always sought to work with partners that challenge existing views and approaches and push me and my team members in new and uncharted directions. Speaking from the perspective of a real estate professional who has forged a career in the technology sector, it is incredibly exciting being involved in an industry that is pushing the boundaries of what a workspace should look like, how it should function and is fundamentally changing the expectations and understanding of staff and businesses about how work is done. Attention to detail, quality and excellence in planning and execution are important qualities that I look for in all vendor partnerships. Getting the right outcome for the business in the world of corporate real estate can sometimes be a long process and working with partners who understand this and are willing and able to support the business case development, assist in strategizing, allocating appropriate resources, setting reasonable timelines, managing expectations and engaging deeply with stakeholders is vital. I have learnt through experience that there are no shortcuts and success is built on leveraging partnerships, stakeholder relationships and vendor expertise. Q5) What do you know now that you wish you knew when you were starting out in your real estate career? The need to be open minded and receptive to change is important. Innovation is rapidly changing the business environment. Real estate is an integral part of business strategy and it is important for real estate professionals to stay ahead of changes and focus on broader issues than simply the delivery of physical space to fill headcount demand. There is a need to look deeper at qualitative issues such as how staff and clients use and function in the space and to better understand the impact that real estate decisions can have on issues like retaining and hiring the best talent. Every transaction, every project and every interaction with stakeholders and vendors is an opportunity to understand and learn. Having a broad CRE knowledge base means that you are better positioned to react quickly, influence and effectively deliver organizational changes. Increasingly, employees in the corporate real estate space will be looking for real estate leaders and talent that understand the entire real estate cycle and are able to drive business change towards new ways of working. Going into a real estate career with this attitude will serve you well and prepare you for success in a rapidly changing world. As an occupier, Savills can help you with all aspects of your real estate strategy, whether helping you expand, managing your existing portfolio or enhancing your existing workspaces. We invest the time to understand your business and apply this insight to help us propose and deliver intelligent solutions specifically tailored to your needs. Find out more information about our Worldwide Occupier Services.